Earlier today (16 March 1999) Bruce Perens, Wichert Akkerman, and Ian Jackson issued an open letter titled The Apple Public Source License - Our Concerns alleging that the Open Source Initiative acted incorrectly in certifying the Apple Public Source License as being conformant with the Open Source Definition. It is OSI's position that the claims in this open letter are entirely mistaken; they are founded on erroneous readings of the license and of applicable common and statute law. First, in regard to Section 2.2(c), the reporting requirement. 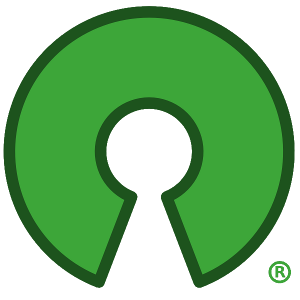 The open letter suggests a scenario in which Apple's demise would leave open-source developers unable to comply with 2.2(c), which would in turn cause their rights to lapse. This reading ignores the severability language in clause 13.6. If Apple dies, clause 2.2(c) becomes ipso facto unenforceable and (under 13.6) is voided without compromising the remainder of the license. Second, in regard to 9.1. Equating this language to the Jikes patent clause is simply wrong. To see this, note the qualification "Affected Original Code". We discussed this point with Apple in detail; what Apple is reserving is the right to withdraw not the entire "Original Code" (as in the Jikes license) but only those parts directly touched by the infringement. This means precisely those portions which an infringement lawsuit could force open-source developers to stop using if Apple were not involved. This clause merely covers Apple's liability under law; it does not create any more exposure for open-source developers than would exist under U.S. patent law if it were not present. The OSI rejects the open letter's implicit contention that, "Eric Raymond [...] jumped a little too fast to embrace the APSL." The OSI Board requested - and got - substantial changes from Apple before the APSL was made public. The Board then acted unanimously in authorizing Eric to publicly endorse it on behalf of OSI. The OSI stands behind its endorsement, applauds Apple's vision, and confidently expects the APSL terms will serve as a model for the open-sourcing of other Apple technologies - perhaps, indeed, for the open-sourcing of operating systems from other computer systems manufacturers now that Apple has taken the first groundbreaking step.